Worth the Reading: The Liberty Amendments: A Rightful Remedy or Folly? The Liberty Amendments: A Rightful Remedy or Folly? 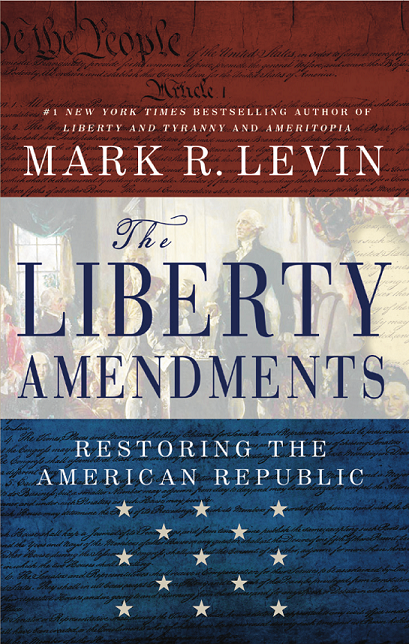 The Liberty Amendments, written by lawyer and nationally syndicated radio talk show host, Mark Levin, was published in August 2013. As of today, it is still one of the bestselling books on Amazon.com (ranked #463) and is among the top 10 books dealing with American politics. His book lays out the case for invoking an Article V constitutional convention to amend the Constitution and proposes ten amendments which, it is hoped, will help restore the American republic. His book has been praised by Tea Party groups and other conservative organizations and, as evidenced above, is wildly popular. However, it has also been criticized and some question Levin's interpretation of Article V as well as the usefulness of added amendments. Fellow Tennessean and brother-in-arms, Michael Lotfi, recently wrote an article for The Washington Times Communities titled, in part, Why Mark Levin is wrong. Mr. Lotfi has been critical of Levin's book for a while and he is by no means alone. I would like to take a look at Mr. Lotfi's article and address the concerns he and others have raised. Before that, however, I want to state that I do not fully favor nor oppose Levin's solution(s) to our national predicament. That being said, I am in favor having a strong debate and I welcome anyone who offers possible solutions to restoring and then preserving our Republic. The first main argument Lotfi lays out deals with the usefulness of amendments themselves. He argues that all three branches of the federal government have ignored the Constitution and continually seek to grab powers for themselves which are not granted by the Constitution, and so, what good would new amendments do? On the surface, it would seem that there is no purpose or use for any further amendments. Many view the Constitution as a near sacred document with a level of perfection closing in on the Holy Scriptures themselves. But when you dig deeper, you find that the Constitution was a document forged by compromise. And, as well intentioned and learned as our Founding Fathers may have been, there were a good many things the Constitution could have had added, or even removed, if certain factions had had their way. A reading of the Federalist Papers and the Anti-Federalists reveals a long-standing debate between the Founders, the general public, and among the several states - played out in publications and in private - which resulted in the best constitution that could have actually been ratified at the time. Those debates over the scope of federal power, the sovereignty of the states, the role of the individual and their rights, etc. are still raging to this day. It is often said that the Constitution is written in plain English. And while this was true in the 18th century, one must remember that English is, and always has been, a very fluid language. Words are spelled differently as time goes by and more importantly, the very meaning of the words themselves change over time. 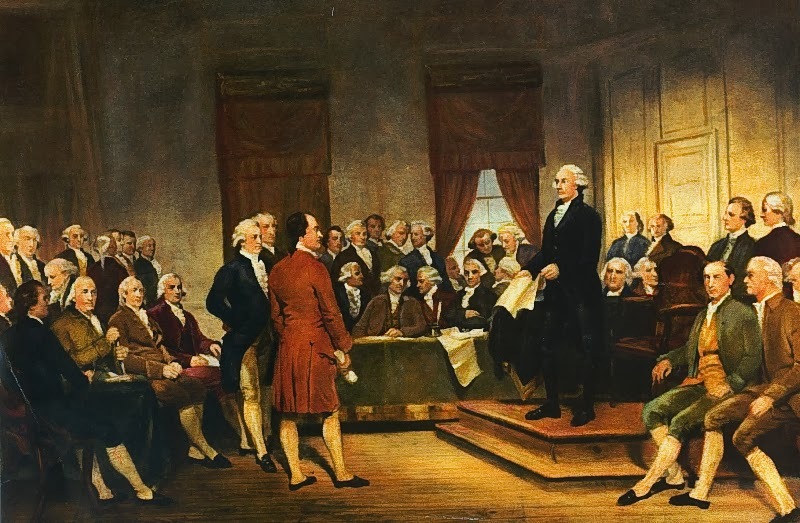 The original Constitutional Convention ended in 1787, some 226 years ago, and the farther we are removed from the Founders and their original intent & understandings, the more difficult interpretation becomes. Like it or not, if you hand the Constitution to five different people and have them read it, you will end up with five different understandings of the text. Similarly, if you have five people read the Bible you will wind up with different interpretations - why do you think there are thousands of different denominations of Christianity? I say all of that to reach my main point: the meaning of the Constitution was debated before the ink was dry and it is debated still. There are 13 federal courts of appeal and 179 judges on those courts (each with their own opinions), and then you have the Supreme Court which, rightly or wrongly, exercises the supreme right to interpret. As often stated, the Constitution is written in plain English and perhaps that is one reason why we're in the mess we're in today. When you combine the nature of our legal system (precedent law), the fact that the modern SCOTUS rarely relies on the non-legal papers of our founders (such as letters, books, publications, etc. ), and the fact that we are so far removed from the heated events of the Revolution, to me, it is easy to see that the Constitution lends itself to a broad interpretation - especially if those opinions are not intensely challenged by the states and Congress. The purpose of adding new amendments, such as those proposed by Levin, is to restrain further broad interpretations by listing specific prohibitions on federal power. Because the federal government was meant to have few and defined powers (while the people retain near infinite powers), it would seem that the Constitution was written using broad language as an attempt to cover as much ground as possible without creating a document that's over 400 pages long (as is the case with India's modern constitution). But in doing so, the reverse has transpired; the government's powers have grown nearly unchecked. In a nation with 315 million citizens, over 7 million businesses with more than one employee, where information and billions of dollars can be transferred at the push of a button, and the ever looming issues of globalization, the roles and powers of our government need to be ever more narrowly defined. Adding specific amendments would not only help restrain (or in some cases repeal parts of) the federal leviathan, but they would also make violating the Constitution more visible. Modern administrations hide their abuses of power behind the impossibly complex federal bureaucracy and behind the rules & regulations which Congress has unleashed through their inaction and lazy attitude toward legislation. Our government operates under the assumption that if Congress passes a law and the president signs it, it's constitutional by default, regardless of its content (again, unless it's vigorously challenged). It further obscures its actions by justifying any power grab or civil liberty violation as rooted in some thousand-page omnibus bill in which Congress delegates its law making power to an agency or un-elected individuals (such as with the EPA or FISA), even though Congress can't technically cede law making power to anyone without a change to Constitution. New amendments could make such things very difficult if not impossible. Lotfi's next criticism deals with nullification. It is true Mark Levin opposes the idea of nullification, however, his book has nothing to do with the issue. 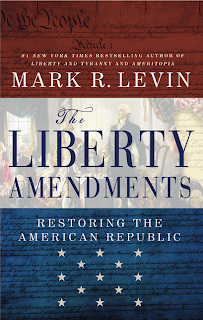 The book offers up one course of action and provides a list of ten proposed amendments (and their justifications) through which Levin believes the country could right its course. But while we're on the topic, let's briefly explore nullification. Nullification is a legal theory which would allow individual states to nullify (invalidate) federal laws the state(s) find unconstitutional themselves. Although I support the idea of nullification in extreme cases, nullification can lend itself to abuse far more easily than an amendment process. By agreeing that states can simply ignore Congress and laws they don't like, you end up breaking down the very foundations of the country. Furthermore, nullification can be exercised by single states, whereas the amendment process requires the agreement of 3/4ths of the states. And a single state is more easily given over to the democratic whims of the populace thus negating the very purpose of a constitutional republic - to provide a stable political system rooted in the rule of law and to defend the inherent rights of the individual against the majority. Lotfi claims that while the states can call for a convention, only Congress can control it and only through them can the Constitution be amended; thus Congress would torpedo the process. He argues that a primary risk of allowing the states to run such a convention is that a "runaway convention" could occur and result in the Constitution being totally obliterated. Article V clearly gives two procedures to amend the Constitution, both of course require 3/4ths of the states to ratify an amendment. The most commonly used is the first, amendments arising directly from Congress. According to the Federal Register: "The Constitution provides that an amendment may be proposed either by the Congress with a two-thirds majority vote in both the House of Representatives and the Senate or by a constitutional convention called for by two-thirds of the State legislatures." That doesn't leave much room for doubt, there are two distinct paths. Levin discusses the threat of a runaway convention process and further states on page 16 that the process is a "federal convention" as well as a "limited purpose convention" (the convention could not abolish the government for example). On page 225 (in the notes) the book explains the issue in greater detail: "The state legislatures can recommend specific language or amendments, but cannot seek to impose them through the application process as Article V empowers the delegates to the convention to propose amendments, which the states subsequently consider for ratification." The Federalist Papers also raises a powerful point. In Federalist 85, Hamilton says, "the national rulers, whenever nine (two-thirds) States concur, will have no option upon the subject. By the fifth article of the [constitution], the Congress will be obliged 'on the application of the legislatures of two thirds of the States, to call a convention for proposing amendments, which shall be valid....when ratified by the legislatures of three fourths of the States, or by conventions in three fourths thereof." If Congress were to ignore the desires of 2/3rds of the states by refusing the take up an amendment or by refusing to accept the state conventions, there would be anarchy and in short order the bulk of Congress would be replaced. Congress in the aggregate ignores the Constitution, but should the states convene and propose new amendments (which must be very similar in language among the states to even qualify) the individual congressmen would remember that they are subservient to the people and would be hard pressed to vote on the contrary. Congress has the power to pick which method: ratification by the state legislatures, or ratification by state conventions called for the purpose. States could create the conventions and through them propose an amendment, which is technically a reversed method (in the usual manor, the amendment is proposed and then conventions occur). But, should the requisite number of states call these conventions and propose an amendment, as Hamilton said, Congress would have very little choice in the matter. And so, even though Congress does have the power in principle, in practice, Congress would be impotent in the face of two-thirds (or preferably three-fourths) of the states. Furthermore, due to the very nature of the amendment process, the potential of a runaway convention is all but impossible - since 38 states would still be required to ratify any amendment(s). On this issue, Mr. Lotfi gets it partially right, but his overall conclusion is still wrong in my opinion. In the end, we must operate in the world in which we live, not in the world we would like to live in or think we used to live in. In order to restore the nation, we need to recognize the situation as it is (with the repercussions of Marbury v. Madison, etc.) The fact remains that neither nullification nor a state-led convention as described by Levin have been fully tested. Levin has said many times, in print and on his radio show, that The Liberty Amendments is but an idea, one possible way to stem the tide, not the only way. Mark Levin has helped reignite the discussion over a constitutional convention as a potential remedy, and Tom Woods has framed the debate regarding nullification. Until one, or both, have been fully tested (either by states asserting themselves, or through legislation or the courts) they remain possible methods. It took one court case in 1803 to start the ball rolling, but it has taken over 200 years for us to arrive in the state we are in today. The country will not be saved and preserved by a single "fix all" solution, but by the people and the states using every tool at their disposal. A possible future example of using the amendment process instead of nullification would be Obamacare. Obamacare has never been supported by a majority of Americans and 34 states have decided to let the federal government deal with the exchanges instead of setting up their own state exchanges (which would have been optimal for the feds). Although a refusal to set up their own state exchanges doesn't mean the majority of the people in those states would want a full repeal of the Affordable Care Act, it does show that there is a high level of discontent with the law. Since it would take 38 states to ratify an amendment, the fact that 34 are, at a minimum, unhappy with the law means, at least to me, that an amendment would be within the realm of possibility. Why would we refuse to enshrine in law explicit restrictions on the federal government's meddling in every aspect of our private lives? To dismiss the amendment process in favor of possible factionalism (which nullification could easily lead to) doesn't make sense.